This is the component that contains the CO2 (Carbon Dioxide) that is excited by the voltage coming from the 80W Power Supply. The diameter of the tube is 80mm (approximately 3.15 inches). The length of the tube is 1250mm (approximately 49.2 inches) This CO2 Laser Tube has an inlet and outlet for water cooling and wire connections for the anode and cathode sides of the tube. 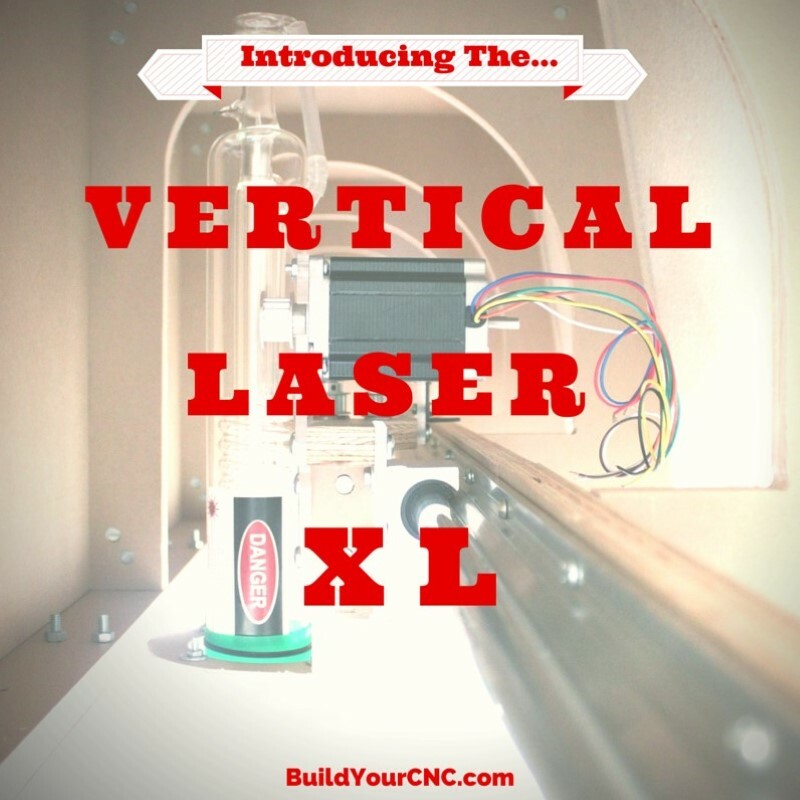 This the 80W laser tube that comes standard with our Vertical Laser XL machine kit. 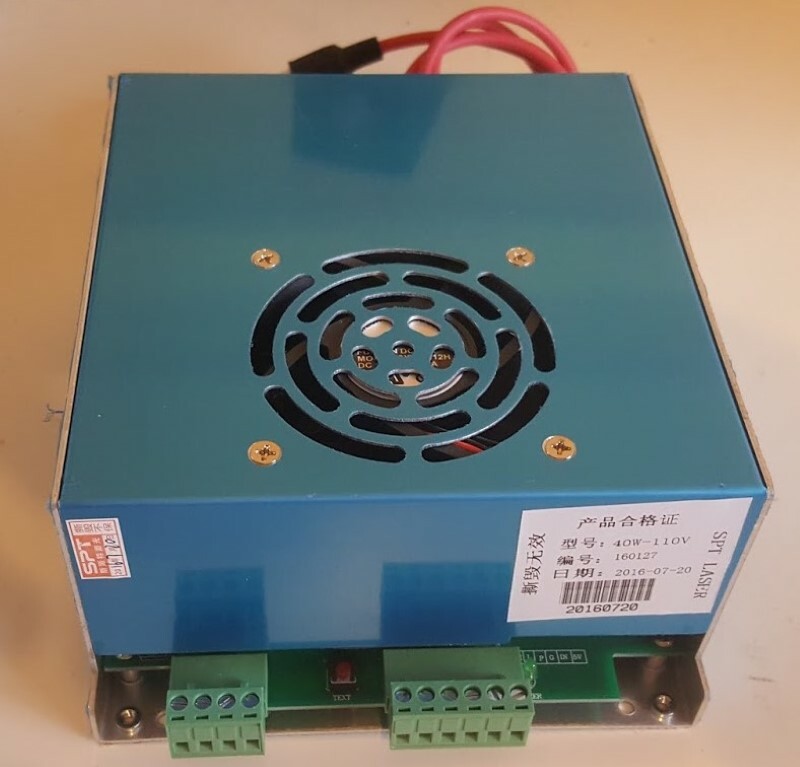 The 80W tube has a much larger diameter than the 40W tube, so for this reason it is not currently possible to add it to the blackTooth laser cutter and engraver. Each tube is tested for quality before it is sent out, with a voltage test performed and a read-out of performance at different wattages. It is important to note that while you may achieve higher performance at higher wattage, it can also shorten the life of the tube. Laser tubes are consumable products much like light bulbs are. They have a rated life span. The 80W tube's lifespan is rated at 3000 hours.